With Rosa Aiello, Jack Brennan, Lisa Gutscher, Ellen Yeon Kim, Luzie Meyer, Elif Saydam, Mark von Schlegell, Andrew Wagner -- and many more SPECIAL questionable guests from the sonic literary/art borderlands. 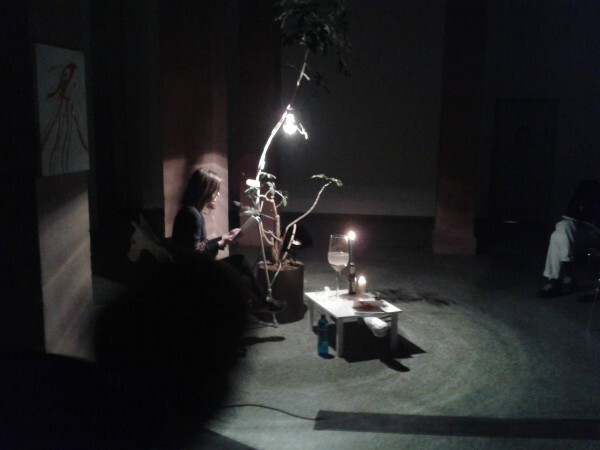 Members of Frankfurt Staedelschule's Pure Fiction Seminar new and old collaborate on an evening of spoken word and improvised sound performance at the edge of art, literature and incomprehension. In 2011, students of Städelschule invited writer Mark von Schlegell to organise a fiction seminar in the school. Since then Pure Fiction has brought together current and former Städel students to examine and above all produce texts in the most diverse forms possible, from written artistic works and experimental writing to readings and performances that inevitably draw in other aspects of the diverse artistic practices of all the class members. The works of authors from Cervantes to Woolf form the pre–given raw material of the seminar. An engagement with the material and quasi-mystical properties of printed matter have led the class to produce numerous experimental publications, readings and performances on narrative or poetic footings. They come to Berlin for the Miss Read Art-Book Fair.